Who doesn’t want to see the Big Apple, really? With so many things to do in New York, this diverse and bustling metropolis is a favourite travel destination for tourists from around the world. 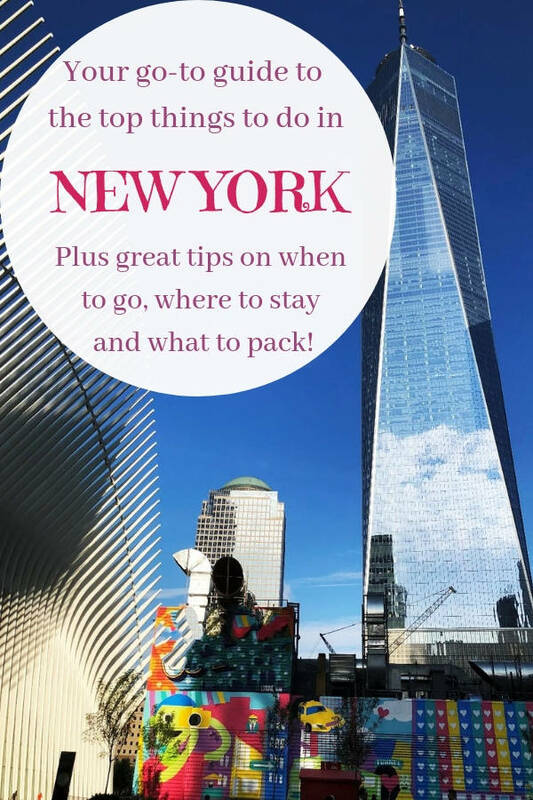 It doesn’t matter what are your preferences or what is your travel style, everyone will find what to do in New York to enjoy the city at its best. If you are planning a trip to New York City, keep reading. Alongside the best things to see and do, you will find plenty of tips on how to organise your trip, including when to go and where to stay. A perfect guide whether you are visiting New York for the first time, the second or the tenth. Let’s dive in! Manhattan and Staten Island among the first places to visit in New York. Photo courtesy of Travel Collecting. This is one of the best museums in the world. In addition to an encyclopedic collection of art and artefacts from around the world, there are some must-see experiential spaces at the Met. Explore a complete Egyptian temple, meditate in an indoor Chinese garden, have lunch at a sculpture garden, drink sangria on the rooftop terrace with amazing views of Central Park, and enjoy a coffee in a mediaeval courtyard garden at the Cloisters. » Tip: Book Met Express 2-hour tour to see the highlights of the museum or Meet the Met trip for an extended and in-depth tour with Take Walks. Have a picnic and watch an outdoor movie for free in Bryant Park. Claiming a spot is stressful, but then you can kick back and relax with a picnic surrounded by towering skyscrapers of Midtown Manhattan, and then watch a classic movie for free. Don’t forget to the do the Bryant Park movie dance at the start! See a complete T-rex skeleton, amaze at the enormity of our universe in the planetarium and be in awe of the life-size replica of a blue whale swimming above you. Kids (and adults) will love this museum, one of the fun things to do in NYC. A must-see on any visit to New York. This top-notch museum includes masterpieces from artists of the likes of Van Gogh, Picasso, Munch and more. Solomon R. Guggenheim Museum at 88th Street. The Frank Lloyd Wright building is the main attraction at the Guggenheim. Take the elevator straight up to the top floor and enjoy the views – and the art – as you slowly circle downwards. Check the museum’s website for changing exhibits. This is a small museum near the Met, dedicated to Austrian art. They have some amazing Klimt paintings, including Portrait of Adele Bloch-Bauer I, but it’s worth coming here for the café alone. An amazing selection of cakes and great coffee in a beautiful room – you will feel like you have been transported to Europe. This small, lesser-known museum on the Lower East Side is worth a visit. Book a specific tour (Italian immigrants, Irish immigrants, Jewish immigrants, etc.) and be regaled with their New York stories as you see replicas of rooms in which they lived in an actual tenement building in lower Manhattan. The gift shop is a great place to buy NYC souvenirs. This is a totally free way to see incredible views of downtown Manhattan and the Statue of Liberty. 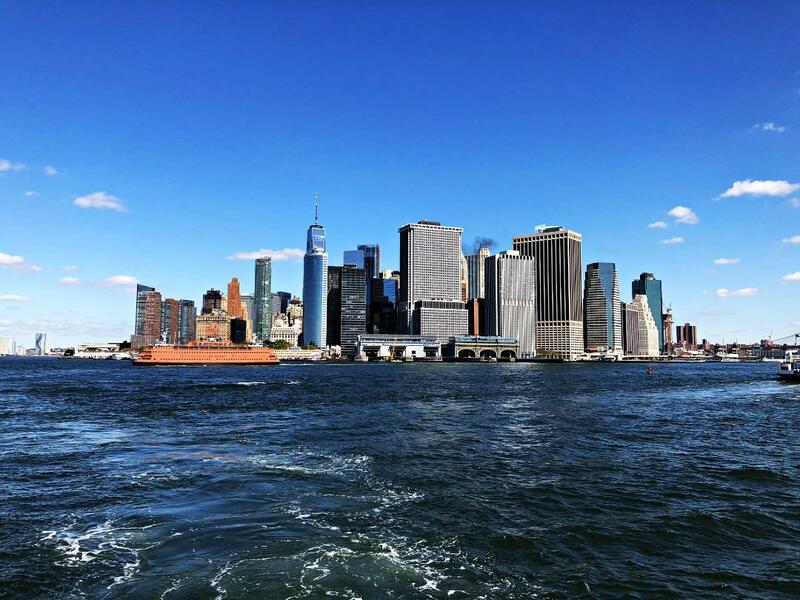 When you get to Staten Island, you can explore or return on the next ferry back to Manhattan. One of the top things to do in New York. An insider tip: go first thing in the morning! The lines get long, even if you have a ticket. The ferry goes to Liberty Island first and then to Ellis Island, and at each point, you will need to line up for the ferry. You can pay extra to climb narrow stairs to the top of Lady Liberty’s crown – the views of the interior and spiral stairs are cool. The view from the crown? Not so much … she faces towards Brooklyn, not Manhattan. Be sure to stop off on Ellis Island, which has an interesting immigration museum that you shouldn’t miss. This is one of the first places to visit in New York if it’s your first trip. » Tip: Check out Take Walks’ tour with early access to the Statue of Liberty and Ellis Island. One of the top New York tourist attractions, this is a must-see. But the lines get long. They snake for ages inside, so if the line is outside, try and go another time! The best time is late afternoon. You can get the views at daylight, twilight and the night lights. And most people are going to dinner, so the lines are usually much shorter. Book your ticket online. It’s harrowing, but this is an essential part of the New York story. » Tip: Book Take Walks’ 9/11 Memorial Tour that includes priority entrance to the museum. Chinatown dominates the area below Soho and food is a huge part of it. A walking tour is a great introduction. Some tours include Little Italy (which has shrunk to just a few blocks on Mulberry Street). This is some of the best theatres on the planet. It comes at a steep price, but you can line up at one of the four TKTS half-price ticket booths in Times Square, Lincoln Center, South Street Seaport and Downtown Brooklyn for cheaper same-day tickets if you have some time. If you are a theatre lover, this is a must do in New York. This is great any time of year, but spring and fall are truly spectacular. Row a boat on the boat lake and have lunch in the Boathouse; control a model sailboat on the Conservatory Water pond; have a picnic on the great lawn; climb a castle and enjoy the view; visit a zoo; have your kids climb on the Alice in Wonderland sculpture; pay homage to John Lennon at Strawberry Fields; go ice-skating in winter; and much more. Try to find the cat statue on Cat Hill! This used to be an elevated railway but has now been turned into one of New York’s coolest parks. Start in the Meatpacking District and end up in midtown. Walk across for iconic views of the bridge and Manhattan. It’s a long walk, but if you are up to it, continue on to the Brooklyn Heights promenade and Brooklyn Heights Park for the best views of Manhattan that there are. Take the subway back. Venture north into Harlem for fried chicken, delicious ribs and sweet lemonade. Sylvia’s, Jacob and Red Rooster are all classic restaurants. Visiting this neighbourhood is definitely one of the cool things to do in New York. In summer, Coney Island has a crowded beach, several amusement parks and the original Nathan’s hot dog stand. It also has The Cyclone, an old-school wooden roller coaster that rattles and groans and is terrifying mostly because you are never sure if it will fall apart around you. It never does. This is a New York classic! The views from the Wonder Wheel are also totally worth it (take a moving carriage!). Watch thousands of people dressed up for Halloween parade through the stress of Greenwich Village. Or better still, get dressed up and join in! The parade is televised across America, and you can see it live. Dress more warmly than you think you need to – you will! The parade begins at 9 am, but people get here early. Central Park South and Sixth Avenue or near Columbus Circle are good viewing spots. The night before, you can watch the enormous balloons being inflated, which is cool to see. This takes place at West 79th Street and Columbus Avenue between approx. 3:00pm and 8:00pm. This is the largest marathon in the world, held on the first Sunday in November and traversing all 5 boroughs (Staten Island, Brooklyn, Queens, Manhattan and the Bronx). It’s difficult to be accepted to run because so many people apply, but being a spectator is a really inspiring experience. Seeing runners struggle and persist, even when they are clearly at the end of their endurance, is a real testament to the human spirit, and you can help make a difference by cheering them on. Every major department store goes all out decorating for the holidays. Start at Macy’s, go by the New York Public Library where the lions wear wreaths, watch the light show on the face of Saks Fifth Avenue and then take in their windows, make a side trip to the enormous tree (you can’t miss it) and go ice-skating at Rockefeller Center, then continue up Fifth Avenue to Bergdorf Goodman’s. Every major park and many major institutions decorate for the holidays with a Christmas tree and making a tour of visiting them is a fun thing to do. The Met has a tree covered in angels and candles; St John the Divine uptown has a flight of origami cranes; the Museum of Natural History is covered in origami animals; the Rockefeller Center is the largest real tree in the country and is topped by an enormous Swarovski crystal star; and Bryant Park, Madison Square Park and Washington Square Park all have their own trees. There is no bagel like a real New York bagel. It will come slathered in a thick layer of cream cheese. That’s the correct way to eat it! If you were still wondering what to do in New York, this is a must. The only time I would recommend NOT visit NYC is January-March. In those months, the weather is cold, it can snow and New Yorkers hunker down for the winter. A lot of what New York has to offer is outside or involves you being outside to get around, so if you visit in these months, you will need a heavy coat and will be taking it off and putting it on a lot. That being said, there are lots of amazing museums, restaurants, etc., so if you find yourself in New York in those months, you will still have an awesome time. Spring (April-May) is really lovely because the cherry trees bloom in the parks, Macy’s has the Spring Flower Show, and the city bursts with pent-up energy. Everyone is so happy to be outside again! 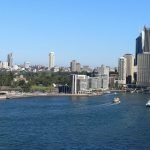 Summer (June-August) can be very hot, which makes sightseeing difficult, but there are also lots of things happening around the city. Free movies in Bryant Park and other city parks, free Shakespeare at the Delacorte Theater in Central Park, lots of outdoor concerts and, of course, the best fireworks in the country on the 4th of July. This is a wonderful time of year to cool off in Central Park, enjoy a cocktail on the terrace at the Met, or head to Coney Island. Autumn (September-November) has beautiful fall foliage in Central Park and the cooler weather makes sightseeing fun. In October you can watch or join in the Halloween Parade in Greenwich Village. November starts with the inspiring NYC marathon and ends with the iconic Thanksgiving Day parade. December is possibly the most magical month in NYC. Store windows are decorated for the holidays; Santas ring bells on street corners; museums, churches and parks have enormous Christmas trees; and neighborhoods try to outdo themselves with lights. It seems like almost every holiday movie ever is set in New York, so this time of year it will seem like you have stepped into a movie. When it snows, it is pure magic. 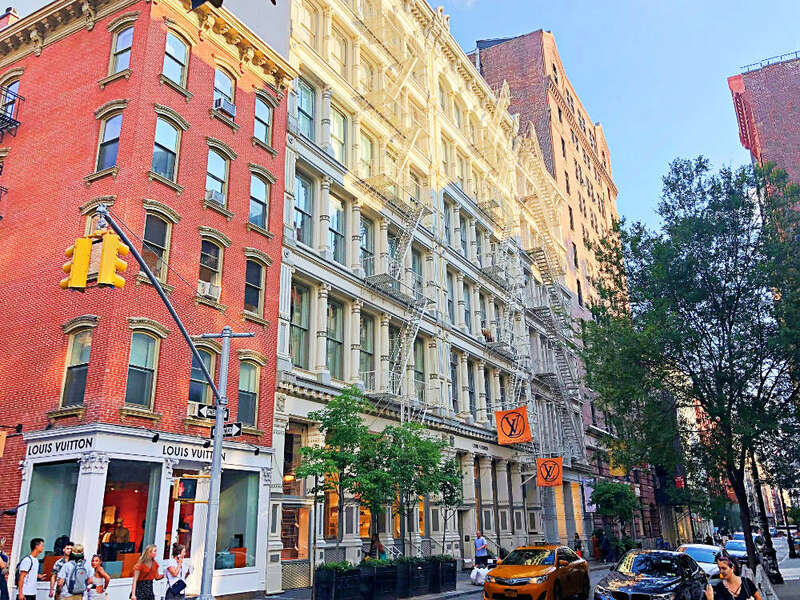 Soho neighbourhood, perfect place for shopping in New York. Photo courtesy of Travel Collecting. New York has very distinctive neighborhoods with different things to offer. If you want to be in the heart of tourist central, stay near Times Square. You will be able to walk home from the theater, and will be surrounded by people, hustle & bustle and energy. If being in the very middle of everything appeals, then this is the place to be. If you would like to be in a quieter area and have easy access to Central Park (especially great if you are travelling with kids or like to run), then the Upper East Side or Upper West Side are good options. The Upper West Side has the Natural History Museum and easy access to the Hudson River (there are a park and footpath running beside the Hudson River along the entire length of Manhattan. If you are a runner, this path or around the reservoir in Central Park are classic places to run. The Upper East Side has a lot of the other major museums along Museum Mile, including the Met, the Guggenheim and the Neue Gallery. The fancy Fifth Avenue shopping area starts at the bottom of Central Park, so this area also has easy access to that. If you want easy access to a lot of shopping, then consider downtown. Soho is a major shopping area and is surprisingly quiet and calm early in the morning and in the evening. Soho is named because it is the area SOuth of HOuston (pronounced HOWston, not HOOston) Street. Subway lines start to converge down here, so there are more transportation options too. Slightly north of here is the West Village, which is leafy with beautiful townhouses, narrow sidewalks, quiet streets and few hotels. If you are young and want to be where the night action is, then you have a few options. Greenwich Village is dominated by NYU (New York University) these days, so caters to a young crowd. There are lots of restaurants, bars and comedy clubs. The East Village and the Lower East Side just south of it and the Meatpacking District used to be dodgy, but now have lots of restaurants and bars, so they are also fun places to stay if you want to go out a lot. The gay crowd tends to hang out in Chelsea or Hell’s Kitchen. If you are straight, you are welcome here too, of course, and there are lots of restaurants, bars and clubs here. Brooklyn has its own hipster flavour and can be a little cheaper. Williamsburg and DUMBO are trendy Brooklyn neighbourhoods. Don’t bother staying all the way downtown in Chinatown and the Financial District. They are nice to visit (Dim Sum in Chinatown on a weekend morning is a chaotic experience not to be missed and you have to see the bull statue on Wall Street), but they are not the most interesting places to stay. Search for great hotels in New York and read guests reviews. With almost 9 million people living there, New York is one of the largest cities in the US. 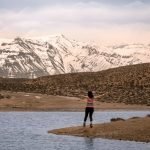 Which means, for as beautiful and exciting as it is, you really need a good plan to enjoy your trip. This more so if you are planning your first trip to New York. Decide what kinds of things you want to do and choose a time of year based around that. Book a flight. There are three airports that service New York – La Guardia, JFK and Newark (which is technically in New Jersey). All three are OK if you are staying in Manhattan. JFK is much more convenient if you are staying in Brooklyn. If you don’t want to line up for half-price tickets and take your chances n what to see, buy tickets to a Broadway show as soon as your trip is confirmed. Tickets to popular shows can be hard to get sometimes, so the sooner you buy your tickets, the better. Decide what kind of area you want to stay in and find a hotel or Airbnb apartment. If you want to splurge on nice restaurants (which is worth doing even if it is just one meal), book 2 or 3 months ahead. Decide how to you are going to get from the airport. There are various ways, but a private transfer or taxi is recommended if this is your first time in New York, so you avoid any hassle. A couple of days before you leave, check the weather and book tickets (early morning) for the Statue of Liberty. Plan a rough itinerary. New York is huge and there is a lot to see and do, so having a plan will help. 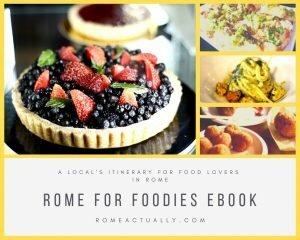 Book a food tour or other tours you want to take. Buy tickets for the museums to skip the lines. Depending on how long you will stay, decide what kind of MetroCard you will buy, so you are ready when you get to the subway station. New Yorkers will help you if you ask, but it is better to have an idea of what you want in advance. Comfortable shoes (all year). You will walk a lot! Waterproof shoes (winter). After it snows, the snow lies around on street corners and turns to slushy puddles that are often too big to walk around. If you are in New York after it snows, your feet WILL get wet. A warm coat, hat and gloves (winter). It gets really cold in winter, and you will need to keep warm. An umbrella (all year). You never know when it will rain. An universal plug adaptor – and the voltage converter, depending on where you are from (all year) if you are traveling from overseas. A camera – and spare memory cards and batteries (all year). New York is incredibly photogenic and you will take a LOT of photos. A swimsuit (summer). Swimming is not the first thing most people think of when they think of New York, but if you visit in a heat wave in the middle of summer, you will be glad you did. Take a dip with hundreds of New Yorkers at Coney Island, or if you have time, venture further afield tone of New York’s other beaches. A map of the subway system (all year). Your guidebook will probably have one or download an app, but you will almost certainly need to refer to the subway map frequently throughout your stay. Even native New Yorkers have to look at a map when they are going somewhere new. Sunscreen and sunglasses (summer). It gets hot in summer. A credit card (all year). You will want to shop! Author bio: James Ian is the travel blogger behind Travel Collecting, where he gives tips and insights on how to plan meaningful trips and become experiential travellers. Thank you for a great post, James!